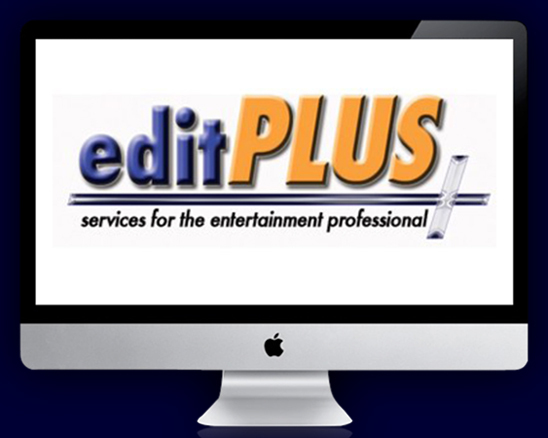 At EditPlus we provide services for the entertainment professional. The core of our business is editing. However, we do so much more than that. Our editing projects range from one minute actor's demos to award-winning corporate videos, from theatrically-released feature films, television pilots and promos to award-winning short films. Our wide range of services are competitively priced and our expertise in the industry produces quality products that assist our clients in furthering their careers. We have been providing service to the industry for almost 20 years. Our clients include numerous award-winning film actors, directors, producers and series regulars of nearly every prime-time TV show. EditPlus is a wholly-owned subsidiary of Carey-it-Off Enterprises, Inc.
"EditPlus is my No. 1 recommended place to send people to edit a reel, shoot an audition or make copies elegantly and quickly."